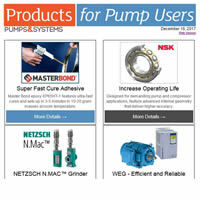 Pumps & Systems is the voice of the pump and rotating equipment industry. We deliver relevant industry news coverage and powerful technical information to more than 40,000 BPA-qualified managers, engineers, operators and maintenance professionals around the world. 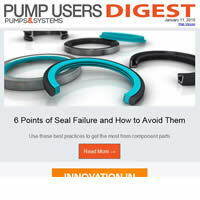 Our weekly email covering must-read pump industry articles. New products and technology updates from top manufacturers. Subscriptions to qualified US readers are FREE. International readers may sign up for free to our digital edition. Paid print subscriptions are also available for international readers and non-qualified US readers.